Rachel’s New Side Fringe Sari Tutorial! 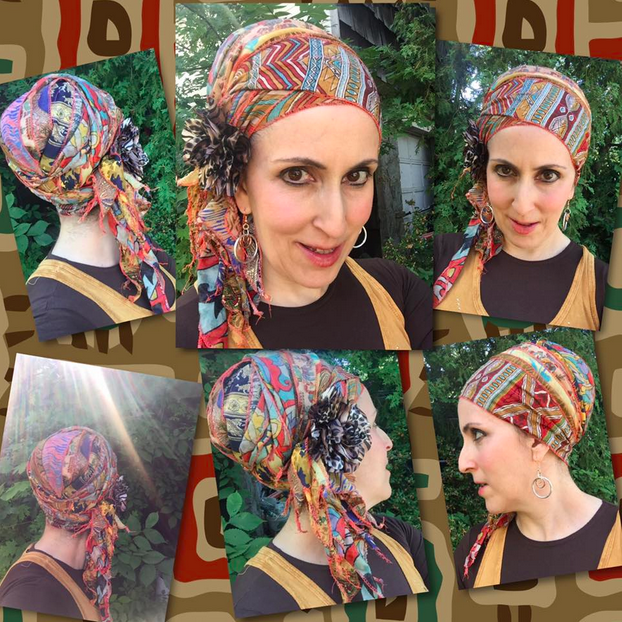 Check out Rachel E.’s new sari tutorial! She uses our tried and true Wrapunzel techniques but takes it to a whole new level! Love it! ← Samantha: Our Historical Clothing Expert Lady Wrap Star! Fantastic! Love it! Can’t wait to try it! Great new way to wrap. What a beautiful sari shawl! And thanks for giving me ideas for what to do with mine when it gets here! How long is your sari scarf Rachel? I have tried it with mine and it is approximately 64 inches not including the fringy bits. I have a small narrow head and found it would not reach to do the final tie with a volumiser on. Without a volumiser it did reach. I was going to attach a photo but found this cannot be done so have described it best I can. Someone with a normal to bigger size head would not be able to tie it this way I would have thought. Maybe like me you have a narrow head?